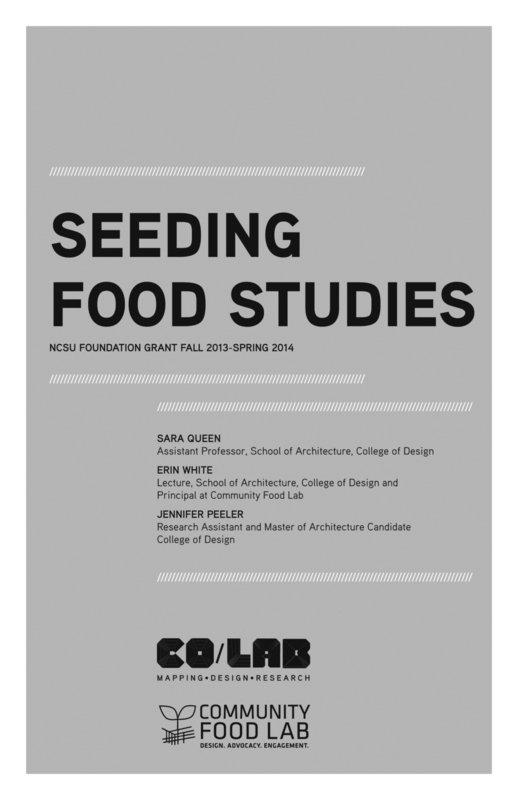 Led by Sara Queen at NCSU's College of Design, this 12-month grant is designed to facilitate University-wide collaborations in food studies. “Seeding Food Studies" is a grant-funded project to foster multidisciplinary opportunities for University-wide collaboration around food studies. We are using "food studies" as an umbrella term that includes all teaching, research, and engagement project which focus on food as their primary subject. This intentionally broad definition casts a wide net for our research, expanding the capacity of our project to create new collaborations within food studies at NCSU. Through the use of this survey, a new purpose-built interactive tool, and a range of events in Spring 2014, we hope to encourage and support new patterns for interdisciplinary inquiry around the timely and relevant topic of food.